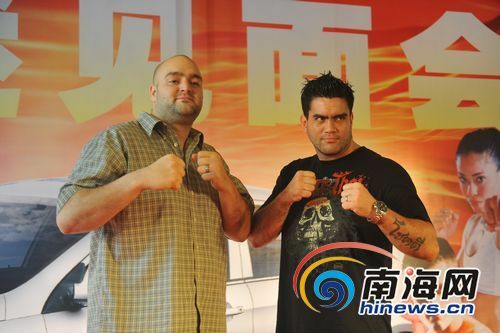 On Dec 15th, 12 well-known boxers gathered in Haikou to have a fans meeting with combat boxing enthusiasts. The boxers come from many countries and regions, including America, Japan, Mexico and Ukraine. Also noteworthy is that ISKA world champion, Paul DaSilva, and Chinese Sanda champion, Li Ning, attended the fans meeting, too. 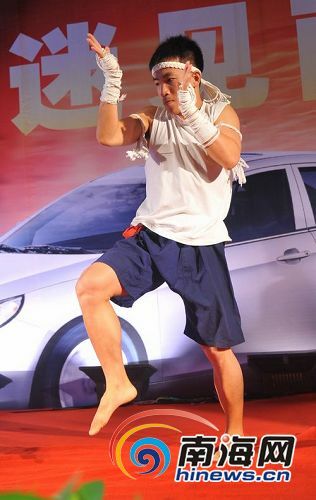 During the fans meeting, boxing champion David performed dancing and Chinese boxer, Huang Haigang performed full Tai Boxing. All the boxers showed great confidence and expectation for the upcoming “Longxing Tianxia International Professional Combat Boxing Championship”, which is to be held in the evening of Dec 18th and Dec 19th at Haikou Sports Stadium.